Soak up a water sport, beach or ski break, with this fantastic lake view retreat for 4! Boasting spectacular lake views across Lake Maggiore as well as proximity to the famous windsurf school in Pino Tronzano and the popular lake beaches, this modern 1 bed apartment for 4 provides a carefree base from which to unwind and entertain. Either honeymooners or family groups of 4 will feel at home within the modern open plan lake view interior, which boasts a full-width balcony which boasts a 180° vista of Lake Maggiore. The open plan layout of the living room is perfect for entertaining and kicking back in style. A stylish living area with flat screen TV is complemented by a modern kitchenette with dining area for 4. Outside, the gorgeous balcony terrace features an alfresco dining area and a couple of modern sun loungers. A spacious master bedroom with double bed, fitted wardrobe and sofa set the scene for hassle-free holiday slumbers; whilst extra guests are welcome to stay on the double sofa bed in the living room. A contemporary fitted shower room completes the layout of this bright and spacious holiday home. The apartment is situated to the 1st floor of a gorgeous 2-storey residence, which boasts far reaching views of Lake Maggiore and benefits from private parking. On the doorstep of Maccagno con Pino Tronzano, guests will find plenty of opportunities for windsurfing, swimming and sunbathing at the lake beaches of Tronzano and Zenna (800 metres away), dining out with classic regional cuisine and keeping the inner kid alive at the Gordola Adventure Park (20 minutes’ drive away). The well-serviced setting also places guests within 1km of the Swiss border; enabling avid explorers to get out and discover the top tourist hotspots on the Swiss Italian lakes. Guests are within easy reach of a grocery shop (400 metres away), a lake view restaurant overlooking the beach and a windsurf school (800 metres away), as well as the timeless visitor highlights of beautiful Maccagno. Well-connected too, the local Pino Tronzano train station is just a 1km away (which offers links to Luino in just 14 minutes and Milano Centrale in 80 minutes). 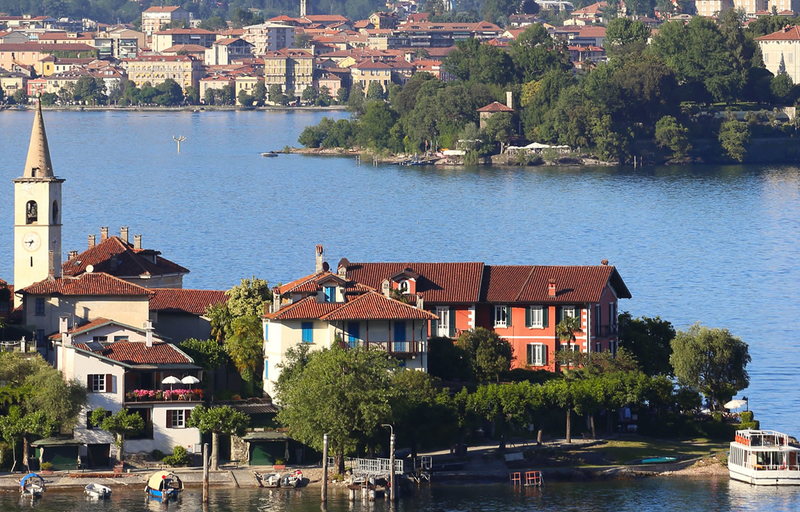 Lake Maggiore is home to a treasure trove of botanical gardens and famous villa attractions, as well as breath taking hiking routes, boat rental shops, water sport clubs and lidos. The surrounding area also offers easy access to the ski slopes of Forcora (15 minutes’ drive away) and the Swiss Alp ski resorts of San Bernardino, Airolo and Andermatt (reachable in just over an hour). The perfect honeymoon retreat for 2 or a flexible base for 4; this spacious lake view retreat lends itself to couples and small family groups. From its sunny lake view setting in Maccagno con Pino Tronzano, guests are within easy reach of a local grocery shop, train station, a beautiful lakeside Italian restaurant, the beaches of Tronzano and Zenna and the windsurfing clubs and schools. The nearby centre of Maccagno offers plenty for tourists to see and do. The gorgeous town offers all the must-have amenities, including a well-stocked supermarket, a host of authentic restaurants, a pharmacy, medical centre and tourist info office . The local beach at the Waterfront Park also offers a children’s play area, football pitch, sailing club, beach volleyball and a rock climbing wall. Guests are perfectly placed for exploring the near town of Luino with its famous open market, the resorts of Stresa, Ascona, Locarno, Pallanza and the tourist sites of Angera Castle, Santa Caterina del Sasso, Villa Taranto and the beautiful Borromean Islands. Those seeking action-packed fun are within easy reach of the Gordola Adventure Park, the famous ‘Goldeneye’ bungee jump in Vogorno, skiing 15 minutes away in Forcora and nearby San Bernardino, Airolo and Andermatt and a plethora of hiking trails around Monte Tamaro, Monteviasco and ‘La Forcora’. There are also no less than 6 famous golf clubs within a 40km radius of the holiday home. Perfect for year-round breaks, the holiday home is just 1.5 hours’ drive from Milan Malpensa airport.